Tehmina Janjua said that export controls protect businesses from unauthorised end-users and facilitate legitimate exports of hi-tech dual-use items for peaceful purposes. 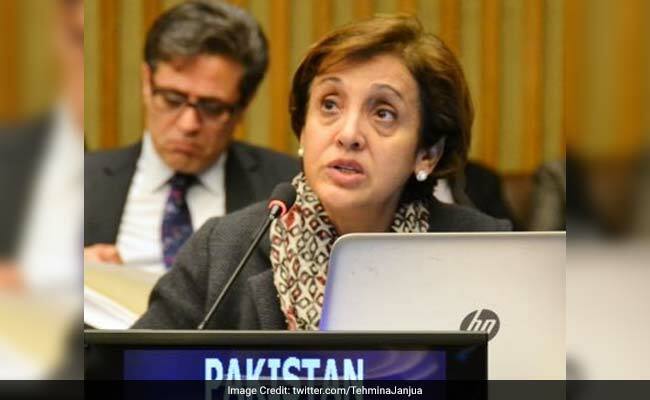 Tehmina Janjua said the country was committed to nuclear non-proliferation and disarmament. Islamabad: Pakistan's Foreign Secretary Tehmina Janjua today said the country was committed to nuclear non-proliferation and disarmament. She also stressed on promotion of export control culture through implementation of guidelines on internal compliance. She was addressing a day-long national seminar on 'Strengthening Strategic Export Controls by Internal Compliance' held in Islamabad, organised by the Strategic Export Control Division (SECDIV), Ministry of Foreign Affairs. "The Foreign Secretary reiterated Pakistan's commitment to non-proliferation and disarmament, highlighted the continuing efforts, and stressed on promotion of export control culture through implementation of guidelines on internal compliance," the Foreign Office in Islamabad said. The foreign secretary further added that export controls not only protect businesses from unauthorised end-users but also facilitate and encourage legitimate exports of hi-tech dual-use items for peaceful purposes. The FO said the purpose of the seminar was to enhance government-industry cooperation, improve inter-agency coordination and highlight the importance of self-regulation for further improving the implementation of export controls on goods, technologies, material and equipment related to nuclear and biological weapons and their delivery systems. The seminar was part of SECDIV's routine outreach and awareness raising activities. Representatives from governmental departments, academia, research institutions and industry attended the seminar.